The Lawless Electric Rocket bike piloted by Larry "Spiderman" McBride made history May 4, 2012 with a National Electric Drag Racing Association (NEDRA) DMC/A3 record run of 6.940 at 201.37 mph making it the first electric vehicle to break 200 mph in the quarter mile! The 355 volt Rocket bike was built by Lawless Industries and Orange County Choppers. 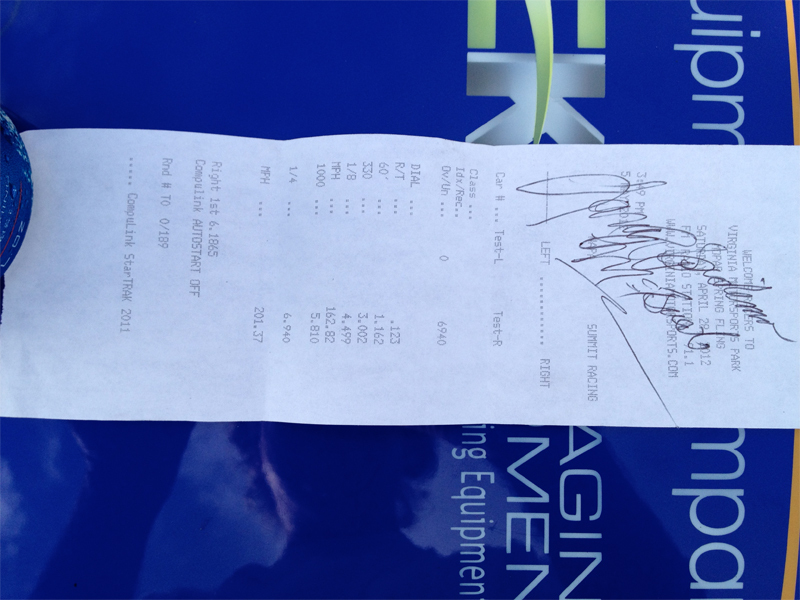 The record as achieved at the Virginia Motorsports Park. Whether this is the fastest electric motorcycle in the world depends on how you define the terms. This is certainly blistering fast, and an amazing achievement. On the other hand in other speed racing formats (Bonneville Land Speed racing) the record is 215 miles/hr average with a top speed of 218 miles/hr recorded during that run. 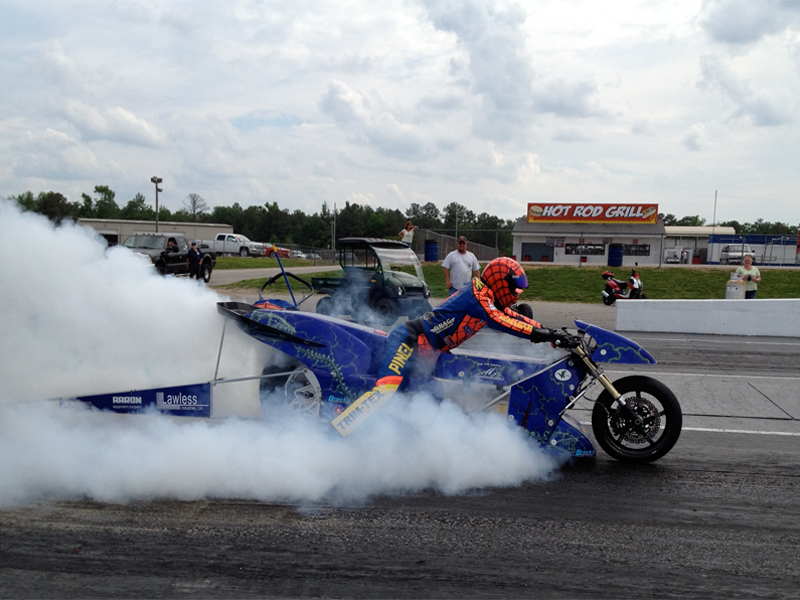 Land speed racing is a different animal from drag racing, making it hard to compare the results. The last time I made this sort of comment, someone got upset that I was dissing drag racing. What I'm trying to do is give some context. Larry "Spiderman" McBride suits up. 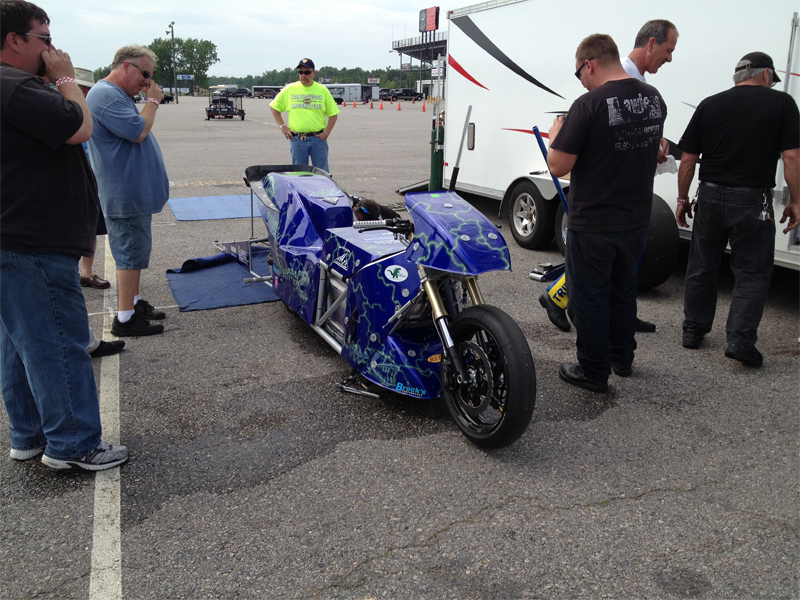 His brother, Steve McBride, makes last minute adjustments to the bike. Rocket is ready to roll with a new tire and a fresh charge. Larry's burnout just prior to the record run.